Your plan & pricing is based on answers to a series of questions. If at anytime you'd like help completing this cost-calculator, simply schedule a free security assessment, contact us or call us toll-free at (800) 368-7416. To go to the main page, click Click IT Secure. You can save and come back to completing this form at any time. Thank you. We will review the estimate and get back to you shortly to confirm and discuss scheduling your installation if it meets your approval. Below are all the hardware components we included in a complete Click IT Secure solution. Make certain all items needed for your network are selected. Or deselect items as desired. Then click NEXT STEP. A physical hardware Firewall is included in a complete Click IT Secure installation. This is a key component and is the wall around your castle and protects all devices on your network from ransomware, cybercrime and crimeware, as well as providing many other advantages in securing a network. With no contract, the cost for the Firewall must be paid upfront at the one-time cost of $395.95. A physical hardware Firewall is included in a complete Click IT Secure installation. This is a key component and is the wall around your castle and protects all devices on your network from ransomware, cybercrime and crimeware, as well as providing many other advantages in securing a network. With a 6-month commitment, the cost for the Firewall is $345.95. A $50 savings. A physical hardware Firewall is included in a complete Click IT Secure installation. This is a key component and is the wall around your castle and protects all devices on your network from ransomware, cybercrime and crimeware, as well as providing many other advantages in securing a network. With your 12-month commitment, the cost for the Firewall is reduced to just $295.95, a $100 savings. With your 24-month commitment, the cost for the firewall is reduced to just $245.95, a $150 savings. 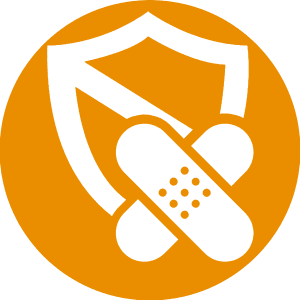 Secure, siloed backup is a critical component in a Click IT Secure installation. 10 gigs of backup storage capacity is provided initially per computer. You will be able to increase the amount of your network's total storage in the next step. 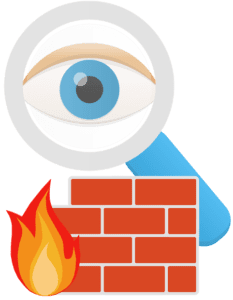 Since you already have a firewall, to implement Click IT Secure with an existing Firewall there is an additional cost of $14.95 per month for opening and securing the necessary ports with your devices. Please indicate your business size by the number of network users. This will determine your volume discount. I am the only user. Sole proprietorship. The longer your contract length, the larger your discounts. Your contract length also determines your upfront costs. Your calculated cost takes the length of your contract into consideration early. You can always come back and change your choice later. No commitment, no discounts, but you can cancel at any time. Signing a 6 month long contract earns a 5% discount. Signing a 12 month long contract earns a 10% discount. Plus you can spread out your installation costs over the contract period, interest-free. Signing a 24 month long contract earns a 15% discount. Plus you can spread out your installation costs over the contract period, interest-free. You may qualify for additional discounts which are provided below. This discount is provided when you elect to purchase more than one service from Click IT. It is auto-selected . Relying on more than one service from Click IT means we can deliver our services at a lower cost, therefore allowing us to pass these savings on to you by providing this additional 5% discount. 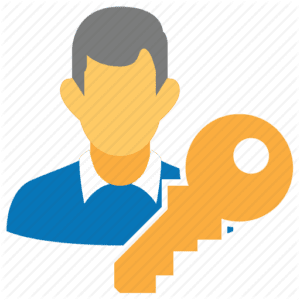 Select this if you qualify as a "key customer", as defined by our Key Customer Qualification Criteria. In this way we encourage an environment of comradery. If you qualify, this entitles you to an additional 5% discount. Prepayment - Select this if you plan on paying for your entire contract length period upfront. 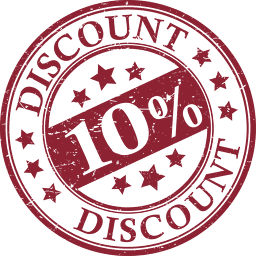 This entitles you to an additional 10% discount. If this discount is selected, your total amount due will be 12 times the monthly amount plus any one-time charges, as indicated below. Here you can increase the total backup capacity for your components. During installation, we will allocate it appropriately, depending on need. Here you can increase your component backup in increments of 10 Gigs of extra off-site storage. Change the quantity as you believe is appropriate. We recommend 30 gigs per computer for a business. You currently have 10 gigs allocated per device. Backup for servers is figured separately, in another step. The more gigs, the bigger your discount. 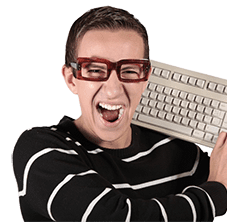 10 gigs of backup capacity per computer is included in your basic backup package. Select this if no additional backup capacity is required. Your can elect to upgrade your Firewall protection level with additional options. Make your choice below. There are several maintenance fee s to choose from which will be added onto your subscription price. We suggest "Business Select" if you run a business with more than 10 active users. Click the box above to make your selection. Help us understand your network by indicating the components currently installed at this location. If you don't know all the components installed, just skip this and go to the next step. Switch - A network switch (also called switching hub, bridging hub, officially MAC bridge) is a computer networking device that connects devices together on a computer network by using packet switching to receive, process, and forward data to the destination device. Router(s) - A router is a networking device that forwards data packets between computer networks. Routers perform the traffic directing functions on the Internet. 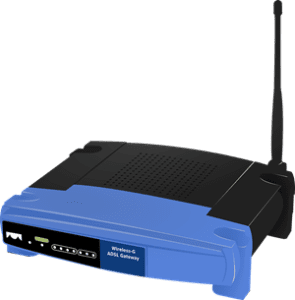 A data packet is typically forwarded from one router to another router through the networks that constitute the internet work until it reaches its destination node. Please indicate how many routers your network uses, if more than one. Server(s) - A network server is a computer system, which is used as the central repository of data and various programs that are shared by users in a network. Please indicate the quantity of servers, if more than one. Is this installation going to be for a home or business? Is your network currently being managed? Any company or organization that uses multiple computers or software platforms needs a network admin to coordinate the different systems. Click IT Secure can either enhance or even replace your current Network Management at a lower cost. Since you have more than 10 users on your network, schedule a free assessment which includes our professional opinion on how to save money while better protecting your data. A network administrator, sometimes called a systems administrator, is responsible for keeping an organization's computer network up to date and running smoothly. Any company or organization that uses multiple computers or software platforms needs a network admin to coordinate the different systems. Click IT Secure can either enhance or even replace your current Network Management. 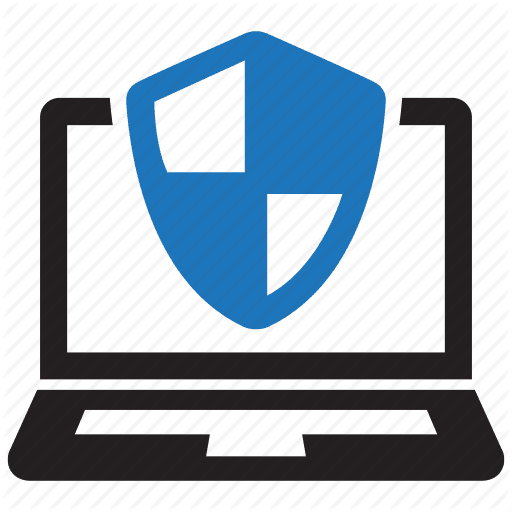 You should also consider scheduling a free assessment which includes our professional opinion on how to save money while better protecting your data. If you have a "network" or "systems administrator", then it is very likely a Firewall is already install on your network. Click IT Secure is a better, lower-cost solution that's automated, for more efficiently managing your network. It is a proactive solution which in combination with our technicians, can easily replace your network administrator with our outsourced solution. The cost of installing additional services are calculated here. You can elect to have these costs absorbed into your monthly price. Monitoring, maintaining and backing up servers is more expensive than other devices. Here we calculate these costs based on your previous indications regarding the make-up of your network. Your server monitoring and maintenance fee for your server(s) is auto-selected. 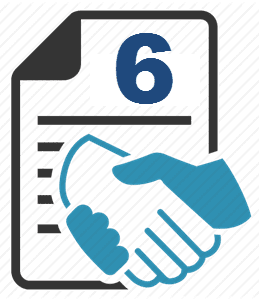 If you have another means for acquiring these services, you can deselect their inclusion in this estimate here. 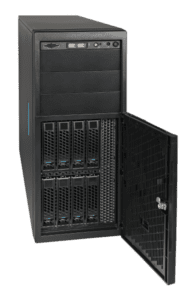 Server Off-site Backup - Servers should be backed-up off-site, and Click IT managed backup solution is the best money can buy. Select the quantity of data to back up for your servers, in 10 gig increments. For severs we recommend a complete image restoration size. Consult with Click IT for help choosing the correct size. The more selected, the higher the discount. Other discounts will be applied later in the calculation as well. More than 40 users on the network requires a more robust Firewall than the one priced out in this calculator. You indicated you do not have a firewall on your network. and have more than 40 users. This may require a more robust Firewall. You should still continue, but please note that the cost of the Firewall may increase to accommodate more than 40 users on your network. Please contact us to discuss further. 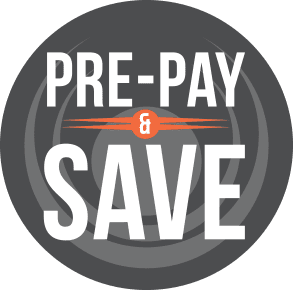 Select whether (A) you want to pay for your Firewall upfront, and save money, or (B) pay for it under a lease agreement over the length of your contract, with a full warranty in full effect. You only have one option since you selected a month-to-month arrangement, under no contract. Your firewall cost of $395.95 must be paid at the time of delivery and installation. This is the only option with no contract selected. If you want a full warranty, you must commit to a 6, 12 or 24 month lease. Select "return to previous step" to go back and change your "Length of Contact" for an alternative price and warranty. Select this option to pay for your Firewall at the time of installation and delivery, at the discounted price of $345.95. This is a $50 savings provided because of your 6 month-long commitment. Select this option to pay for your Firewall at the time of installation and delivery, at the discounted price of $295.95. This is a $100 savings because of your 12 month-long commitment. Select this option to pay for your Firewall at the time of installation and delivery, at the discounted price of $245.95. This is a $150 savings because of your 24 month-long commitment. Select this, if you want to lease your firewall over the length of your 6 month contract period. 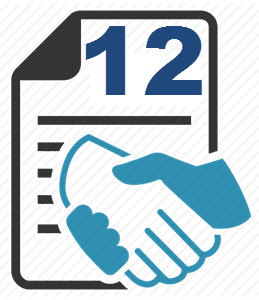 The warranty remains in effect during the lease period and you will own the firewall after the lease period is completed, when an extended warranty can be purchased at that time. Select this, if you want to lease your firewall over the length of your 12 month contract period. The warranty stays in effect during the leasing period. At the end of this period, you will own your firewall when an extended warranty can be purchased at that time. Select this, if you want the cost of your firewall leased over the length of your 24 month contract period. A warranty is full effect during the leasing period. At the end of this period, you will own your firewall, when an extended warranty can be purchased at that time. Owning the domain name (ie. the name after the @ symbol, like @yourcompanyname.com) that is used in your email address, where you have access to the DNS records, allows us to better secure your network. See Click IT Email Assurance. A complete Click IT Secure solution includes all the software options below. Please note that without all the pillars of protection, Click IT can't guarantee protection. By default all are selected. Deselect items not wanted. Our enterprise-level anti-virus keeps running in the background under our management so your device keeps running safely. Click IT pays special attention to the safety of our customer's I-T, with constant monitoring and combat tools. We work daily to thwart attacks, and stop cyber-criminals in their tracks, before they strike. 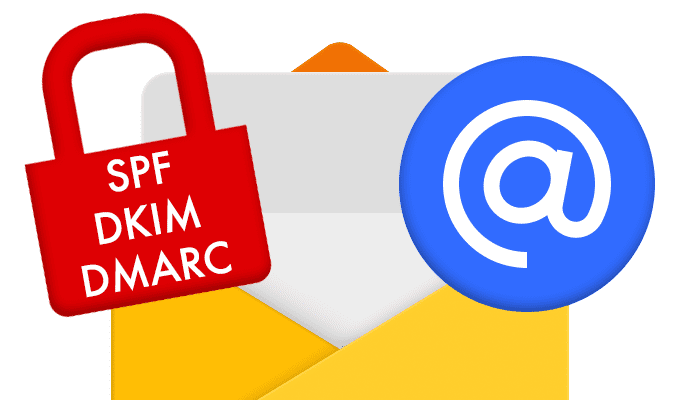 Domain or email authentication, using DKIM/DMAC/SPF records is one of the key weapons in our arsenal which incorporates the newest in email safety technology. Learn more here. We MUST have domain credentials in order to do this work. You indicate that you did not have a domain under your control used for your email. This is a one-time cost. Monitoring and maintenance are included in your other subscription cost. Click IT pays special attention to the safety of our customer's I-T, with constant monitoring and combat tools. We work daily to thwart attacks, and stop cyber-criminals in their tracks, before they strike. Domain or email authentication, using DKIM/DMAC/SPF records is one of the key weapons in our arsenal which incorporates the newest in email safety technology. Learn more here. This is a one-time cost. Once it is set up, monitoring and maintenance are included in your general subscription fees. This service provides monitoring of your device in the background. It also allows our ability to connect remotely to your device when live technical help is needed. Go here to learn more. Updates are crucial for the operability and functionality of your computer. We manage the software manufacturers' updates to their programs to make sure they work better for you and don't crash your system. We also manage these updates to ensure security flaws are corrected as quickly as possible. 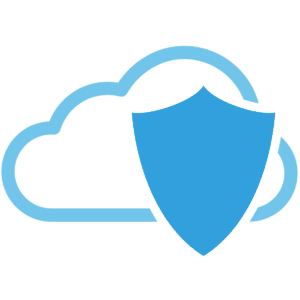 Email Assurance is a cloud-based email solution designed to provide an additional layer of security for inbound and outbound email and email archiving. The Intelligent Filtering Engine protects against email malware and continuity, should core email go down. See Email Assurance Starting at just $4.95 per Subscription. Because you don't have control over the domain used for your email, this security measure can not be implemented. Email archiving is a systematic approach to saving and protecting the data contained in email messages to enable fast retrieval. Incoming and outgoing messages are indexed, along with any document attachments. Email archiving is a systematic approach to saving and protecting the data contained in email messages to enable fast retrieval. Incoming and outgoing messages are indexed, along with any document attachments. Must be bought in combination with Email Assurance. Because you indicated you don't control the domain used for your emails, we can not implement this security measure. Although you do own your domain, you did not select that you have have your domain credentials. Please return to the previous step and select either "No" or Yes" regarding your domain login information. This is critical information. Otherwise we can secure your domain. See Domain & Email Security. Indicate type and number of email accounts. Exchange is the most enterprise-enabled email client available. It offers messaging and collaborative comprised of an email server, email client, and several groupware applications. Microsoft Exchange is prevalent in large corporations and is frequently used in conjunction with Microsoft Outlook. iMap is a reliable email delivery protocol. IMAP is defined by RFC 3501. 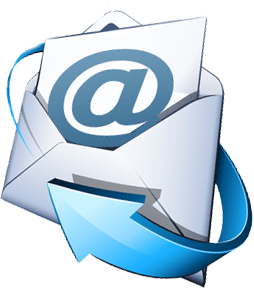 IMAP was designed with the goal of permitting complete management of an email box by multiple email clients, therefore clients generally leave messages on the server until the user explicitly deletes them. An IMAP server typically listens on port number 143. Post Office Protocol (POP) is a type of computer networking and Internet standard protocol that extracts and retrieves email from a remote mail server for access by the host machine. 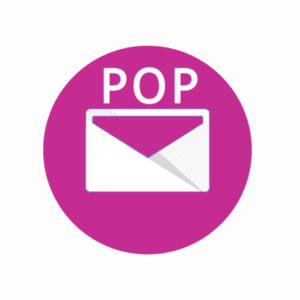 POP is an application layer protocol in the OSI model that provides end users the ability to fetch and receive email. Include Click IT Email Hosting? Indicate if you want to include Click IT Email hosting in this quotation. See www.clickitemail.com for more information about why it is different and so much better. To summarize, we manage your email account(s) for you like an I.T. Department would for a large company. Select if you want to have Click IT Email host your email account(s). Select if you do NOT want to have Click IT Email host your email account(s). Click IT does not host POP accounts. It is inferior to iMap. If you want to have Click IT host your email, then return to the previous step and remove your POP emails. Below is the cost of your Click IT Email accounts which will be added to this quotation. For more information about why Click IT Email accounts are better and different, please visit www.clickitemail.com. You have selected to include email accounts from Click IT in this quotation. Deselect it here if this was not your intention, and the cost will not be included in the total subscription price. You have indicated you have more than 100 users on your network. This cost-calculator is not designed to handle this size. We therefore ask that you fill out and send the form below so that we can arrange a time to discuss your I.T. needs. Since 2012, our expertise and capabilities have grown significantly and because of our unique focus on systems infrastructure, can no doubt save large organizations money while better securing their networks to assuring inter-operability and network integrity. Even when organizations have more than 100 network users, Click IT is still the best choice for outsourcing I.T. and help-desk support services. To start the conversation, simply fill out the information below and submit. Or visit Click IT MSP to learn more. For instance, if you selected Click IT Email and have a website hosted at Click IT Hosting, then select "Yes". Below are options which can be included in your Click IT Secure installation. Select which ones you want. Each option requires more installation time, which is calculated in the next step. allows the regulation of where your Internet surfing users can go. It also enables the recording of all web traffic which is included in a weekly report showing all sites visited while surfing. Indicate the number of computers on which you want this feature. An outgoing VPN connection assures your online activity will not be stored in logs . Logs can easily link actions back to you, and some VPN providers pass these onto law officials when told to do so, which would be impossible, if there aren't any. For more information, click here. Better than Log-Me-In or Go-To-My-PC, we create a secure VPN tunnel, allowing you to connect to a designated computer on your network from a remote, off-site location. You would be then able to log-into your PC from anywhere. This ability to log into your computer from anywhere is similar to the products like Log-Me-In by Citrix, which is much more expensive. 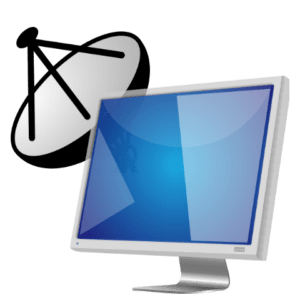 Indicate below the quantity of each PC/Mac operating system on this network. WINDOWS XP or Vista Note: Any Windows XP or Vista computer will need to be either upgraded (if possible) or replaced. The total quantity of devices you indicated qualifies you for a factor discount. In this estimate, the calculator will factor in an additional discount of 10%. Additional discounts will be made available further along in this calculator, and will be applied to the total as well, so you will receive the best pricing and the most value possible. How soon do you want Click IT Secure installed on your network. Note: This is a one-time charge due at the time of installation. Firewalls are typically in stock. Please allow 1 week for setup and delivery. Our standard rate for standard installation is $96 per hour. Once we have reviewed your selections, location and requirements, we can provide an accurate estimate for delivery of this one-time-charge. Our rush rate for installation is $142 per hour. Once we have reviewed your selections, we can provide an accurate estimate for delivery of this one-time-charge. I understand that this is an estimate and that my final price may change.